A franchisor needs to have an exclusive conversation with a prospective franchisee. You don't get a sale until you have that exclusive conversation, dialogue or discussion. The sooner you get to the exclusive conversation, the shorter your sales cycle. Many Vice-Presidents of Franchising know that their lead generation marketing mix and budget is not producing, but they don't why. Their sales cycles are longer and cost per acquisition is higher. Some Franchisors rely too heavily on franchise web portals for leads. It is a mistake for capital intensive franchises to use web portals for prospecting. These franchisors need to rebalance their marketing budgets by including a significant portion for outbound marketing. Franchise web portals are a popular way for franchisors to generate inquiries that hopefully turn into leads. The VP of Franchising uses a web portal because he or she believes sales is just a numbers game. 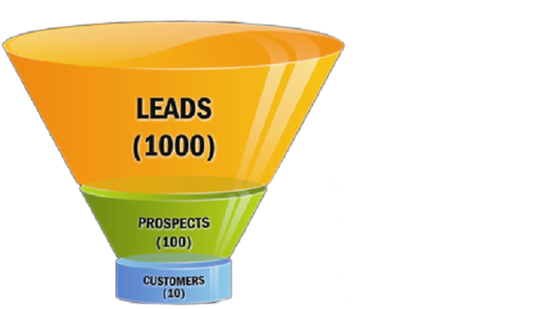 More inquiries turn into more leads and therefore more sales. This is simply not true. Wasteful spending on franchise portals shows this. The web portals do not create the necessary exclusivity. A capital intensive franchisor will take time and effort to construct a compelling landing page which cuts through the clutter of other franchise concepts for sale on the web portal. They take advantage of the web portal's filtering to ensure the most qualified candidates inquire. They train their sales team to promptly follow up by telephone and email all the referred inquiries. Suppose that the franchisor is successful in creating a compelling landing page and messaging. The most qualified candidate, talented with capital, takes the time to accurately complete the web portal inquiry form. Now that's fantastic right? No. Not so fast, something else happens. The inquiry from the prospect with talent and capital gets intercepted. Intercepted you ask, how and by whom? By the franchise web portal. That valuable candidate who you attracted is also attractive to your competitors. The web portal operator knows that and will sell or deliver your candidate to your competitors. One way this works is the following. The candidate finishes the portal's inquiry form qualifying process, and then gets a pop-up-box with suggestions for other franchise investments for them to consider and automatically submit their information to. Now it's off to the races and the first franchisor to move the candidate from the digital world to the physical world where one-on-one over the telephone a franchisor can build a relationship and then the sale. Seems a little unfair that you won the candidate's attention for your concept only to lose out to some other franchisor who got them on the telephone first. Closed deals are a result of exclusive conversations with prospects. Smart Franchisors don't send their best leads to their competitors.